VF-101 was originally formed in WWII aboard the USS Enterprise. The squadron patch (left) is virtually unchanged from the original with “Moe” in flight beneath the squadron’s nickname. 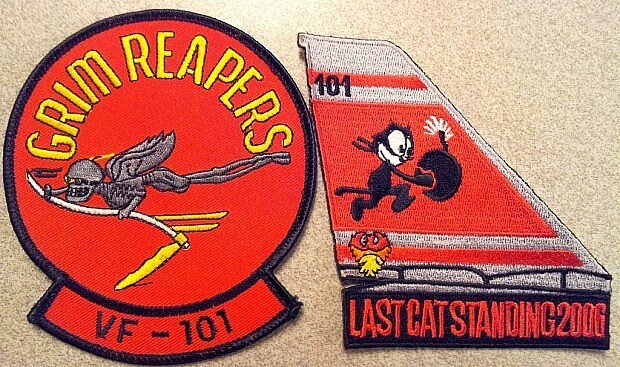 The patch on the right was commemorating the final flight of the F-14 fighter aircraft within the squadron.